Online food ordering and delivery platform Swiggy on Thursday announced that it is testing WhatsApp enterprise solution as a faster way to stay connected with customers. 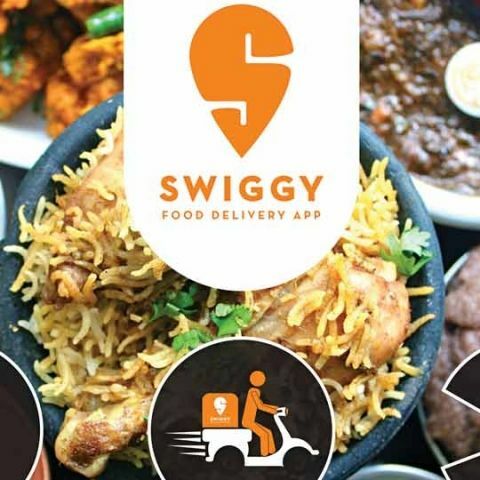 "Swiggy will appear in WhatsApp chat interfaces on consumers' smartphones and will keep them abreast of their order status in real-time, providing seamless communications system," the food-delivering app said in a statement. 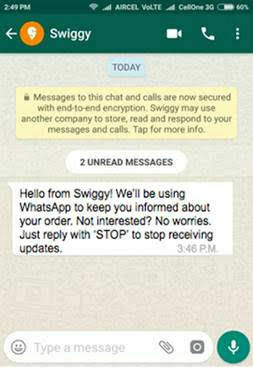 Consumers, however, will have a choice to opt out of Swiggy's WhatsApp services by replying with "STOP" on the chat-thread. "With this new integration, Swiggy aims to further enhance utility and convenience for its consumers," the company added. The online food delivery platform will continue to update customers who are not on WhatsApp via text messages. The service is already available for some users as part of testing and will be rolled out for all soon, Swiggy said.